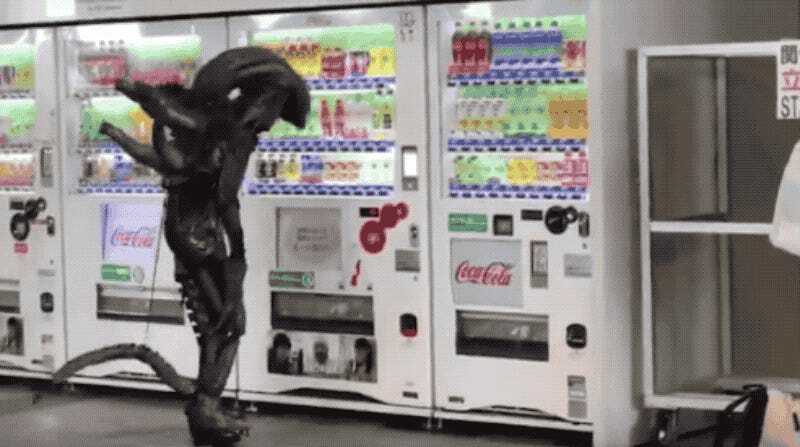 Getting a vending machine soft drink while dressed as an Alien is not easy. Spotted at the recent Tokyo Comic Con, an Alien cosplayer appeared to have vending machine difficulties. Or maybe the Alien is trying to pick up some uncollected change.